After a study to evaluate the benefits of Smart Dubai Government services, Asharq Al-Awsat reports that the city has experienced significant cost savings from efforts toward a toward a more “agile and connected” government. Some of the services evaluated include the DubaiNow application; the secure single-sign-on digital ID service MyID; and the digital payment platform ePay. 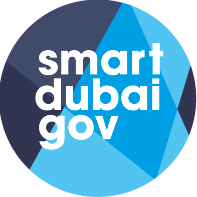 “Since 2003, we have been committed to delivering impactful smart services for the Government of Dubai, in line with the vision of Vice President and Prime Minister of the UAE and Ruler of Dubai … to make Dubai a global benchmark for smart government. For the first time, we can quantify the benefits that we are delivering to the government due to enhanced efficiency; greater agility and higher responsiveness in government services,” said Wesam Lootah, CEO of Smart Dubai Government.